A New York-based filmmaker made a short documentary that explores the positive effect that Johnny Barnes had on the island, and while the trailer was previously online, the whole film is now available for viewing, with the director saying that they have made the film public as they are at the end of their festival run. 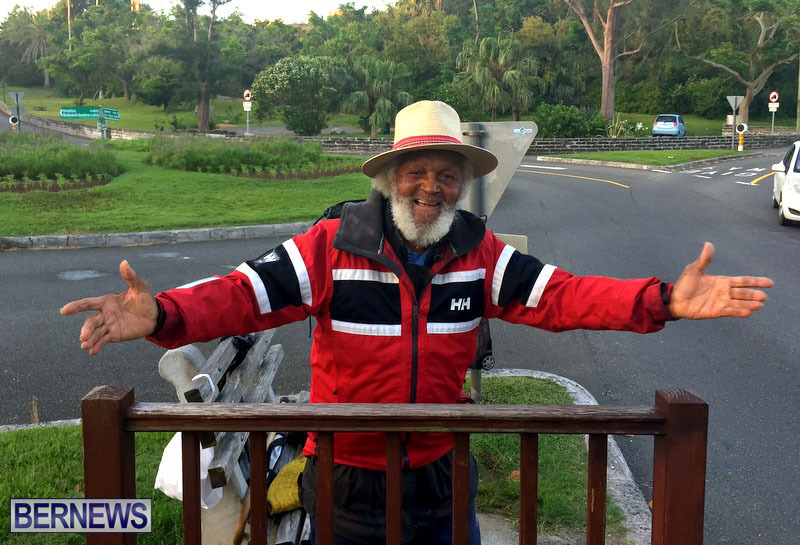 The director said, “The film was born out of the love we have for your island, its beauty, and the spirit and warmth of the Bermudian people. In the film, Johnny touches on the topic of death and the children talk about his legacy. “The film features the artwork of Bermudian artist Lisa Anne Rego and musician Live Wires. “When I first got the opportunity to meet and observe Johnny, I was amazed how the only times he occasionally broke from his waving and shouting was to drink water,” Ms Ma said. Mr Barnes passed away at the age of 93 in July. LOVELY man who will not be forgotten!